Paul Conn has over 35 years’ experience in the global financial markets. Paul is based in Computershare’s New York office, and is actively involved in a range of strategic initiatives spanning Computershare’s global business. 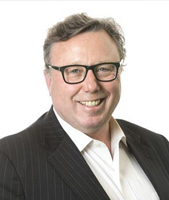 Paul has spent his career working in global markets: starting at the London Stock Exchange (1979-1988), at the Australian Stock Exchange (1988-1998) and with Computershare since late 1998. With his full-time position in New York, since January 2001, Paul’s deep industry experience covers operations, product development, strategic business development, market infrastructure development, strategy and policy development and global executive management. Paul reports directly to the Computershare Group CEO. He is a member of Computershare’s global executive management team as well as, a member of Computershare’s US executive team. As the president of the Global Capital Markets Group, Paul leads a global group of professionals that (i) develop and deliver international and cross-border business solutions for issuers, investors and intermediaries (ii) develop strategies, policies and solutions for market structure developments within Computershare’s core markets, (iii) identify, and pursue related commercial new business initiatives. He and his team also oversee product strategic development for core services such as global registry, cross-border settlement and investor communications. Paul has been active in blockchain developments at Computershare since 1H, 2015. While in Australia, Paul spent many years with the senior management team driving efforts to reform the Australian clearing & settlement system to comply with the G30 recommendations (released in March 1989). These initiatives included the introduction of rolling settlement (then T+5, and now T+2), the introduction of efficient securities lending and borrowing, the introduction of a central settlement facility (CHESS) and the introduction of DvP, including electronic transfers and payments. In conjunction with internal and external counsel, Paul was responsible for delivering the legal & regulatory framework for CHESS, including the relevant business rules and legislative changes including corporations’ law and tax changes. While in London, in 1988, Paul was responsible for the co-ordination of logistics for the major privatisation floats by the UK Government. Appointed by the Council of the London Stock Exchange, he was also the LSE’s Buying-In & Selling-Out Official (Firm 850). Paul has held non-executive director roles at INVeSHARE and at Austraclear (now part of ASX) and was an alternate non-executive director at E*Trade Australia (an ASX listed public company). Paul was recently recognized in the inaugural Exchange Invest’s top “1000 most influential people in Exchanges and Market Structure”. He was ranked at number 400. Paul’s non-profit experience includes acting as an early stage advisor to the National Kidney Registry, a US-based facility that pairs incompatible donors with patients needing kidney transplants. Following his wife’s diagnosis and successful treatment; together with his wife and a close friend, Paul also co-founded The Wig Exchange service that provides wigs to women newly diagnosed with cancer. Paul has also served on the board of The Rye Arts Center. He has raised money for Computershare’s Change A Life Foundation by completing long distance bike rides in South Africa (2009) and Cambodia (2014) and recently, “Slept Out” and raised money for Covenant House in support of homeless youth in New York. Paul lives in Rye, Westchester, New York with his wife Kate and two boys, Alex (16) and Harry (11).